President Nariman Farvardin, Prof. Negar Tavassolian and Provost Christophe Pierre at the 2018 Faculty Awards Ceremony. Eight distinguished Stevens faculty members were recognized with the university's annual faculty awards at a ceremony on May 22, and one member was awarded an honorary master's degree, at the Graduate Commencement ceremonies on May 23. “The faculty are the core of the university,” said Dr. Christophe Pierre, Stevens’ provost and chief academic officer. “They are central to the mission of Stevens and to our collective achievements and successes. Their commitment to education and research has made Stevens the dynamic intellectual community it is today." The Master of Engineering (Honoris Causa) degree was awarded at Commencement to Dr. Yu-Dong Yao, chair of the Department of Electrical and Computer Engineering in the School of Engineering and Science (SES). Dr. Yao has been with Stevens since 2000, and has served as director and chair of the Department of Electrical and Computer Engineering since 2007. Under his leadership, the department has made significant progress in developing graduate and undergraduate programs and faculty research. Dr. Negar Tavassolian, assistant professor of electrical and computer engineering in SES, received the Provost’s Early Career Award for Research Excellence. Her research interests include non-invasive diagnostics, bio- and applied electromagnetics, nuclear magnetic resonance-based sensing, miniaturized antennas, ultra-wideband antennas and radio frequency micro-electromechanical systems. She was the recipient of a National Science Foundation (NSF) CAREER award for her work in applying millimeter-wave technology to biomedical imaging applications. The inaugural Provost’s Award for Research Excellence recognizing continued preeminence in research went to Dr. Georgios Portokalidis, an assistant professor of computer science in SES. In addition to pursing his research interest in software systems, computer and network security and privacy, Dr. Portokalidis in 2017 received a $500,000 award from the Defense Advanced Research Projects Agency (DARPA) for his project called, “TRAILS: Efficient Data Flow Tracking Through HW-Assisted Parallelization,” which started with the goal of using debugging extensions available in modern processors to efficiently perform data-flow tracking in software systems. The Jess H. Davis Memorial Award for Research Excellence is presented annually in recognition of Jess Harrison Davis, who served as the fourth president of Stevens. This year’s recipient is Dr. EH Yang, a professor of mechanical engineering in SES, for his publication, “Graphene-Assisted Anti-Oxidation of Tungsten Disulfide Monolayers: Substrate and Electric Field Effect,” which appeared as the cover article in Advanced Materials, Volume 18, in 2017. Dr. Yang's work is aimed at facilitating the fabrication of atomically thin graphene analog films for practical applications in photovoltaic and optical devices. The Harvey N. Davis Distinguished Teaching Assistant Professor Award was presented to two faculty members in SES this year: Dr. Alexander De Rosa, teaching assistant professor in mechanical engineering; and Dr. Ramana Vinjamuri, assistant professor of biomedical engineering. Dr. De Rosa's research includes the study and effects of combustion and fuels. He is also a Society of Automotive Engineers advisor for students of all disciplines who collaborate to design, fabricate, modify and test vehicles that compete in collegiate design competitions. Dr. Vinjamuri leads the Sensorimotor Control Laboratory, or Vinjamuri Lab, working with student researchers to study brain-machine interfaces that control upper-limb prostheses. The Provost's Award for Excellence in Online Teaching was established to recognize outstanding contributions to online instruction and online educational program development. The award is intended to honor the individual with exceptional teaching ability who has demonstrated a great influence on students. This year’s recipient is James Rowland, lecturer in the School of Systems and Enterprises. Before joining Stevens, Rowland spent more than 30 years at AT&T Labs as director of applied data mining research, and at Bell Labs as a technical manager and distinguished member of the technical staff. The Provost's Award for Academic Entrepreneurship and Enterprise Development was established in 2010 to recognize individuals who have made exceptional and noteworthy contributions to academic entrepreneurship and enterprise development during the preceding academic year. This year’s recipient is Dr. Ronald Besser. He serves as the chair of the Department of Chemical Engineering and Materials Science in SES. His novel work on hydrogen production in microchemical systems has led to a number of publications and resulted in two patents awarded during his time at at Stevens. He received 14 patents previously, and a third is in the application process. The last of his patents was the subject of an NSF I-Corps grant, which Dr. Besser and his team received in 2017. 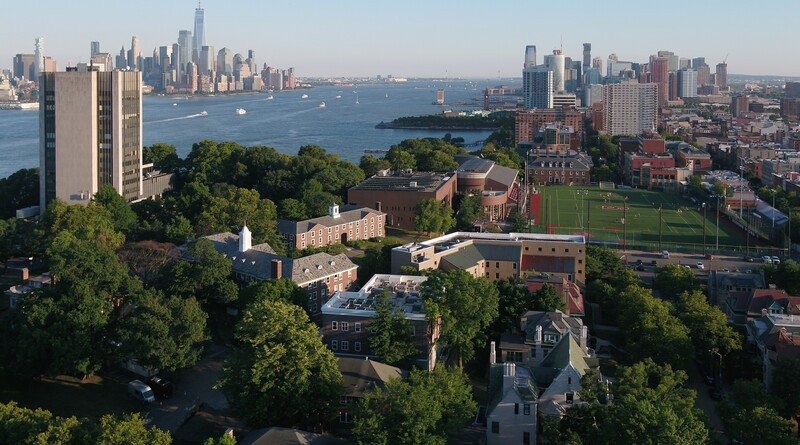 The market feasibility study connected with the project led to the organization of a startup company, Hoboken Fuel Cell, a member company of the Stevens Venture Center.